One of my favourite countries, the Portugal I know best includes Lisbon and two regions to the South of the capital, Centro and the Alentejo. For whatever reason, I’ve never journeyed North before, though a passion for port makes that a somewhat surprising admission. And, for me, the North has always been Porto – nothing more, nothing less. So, being whisked away from the airport on a road trip for an hour and a half to Braga was very much a trip into the unknown, particularly as we arrived at night, at the contemporary hotel Melia Braga. The city of Braga at night was quite spectacular, with a wealth of historic buildings – churches, old houses, palaces and fountains. 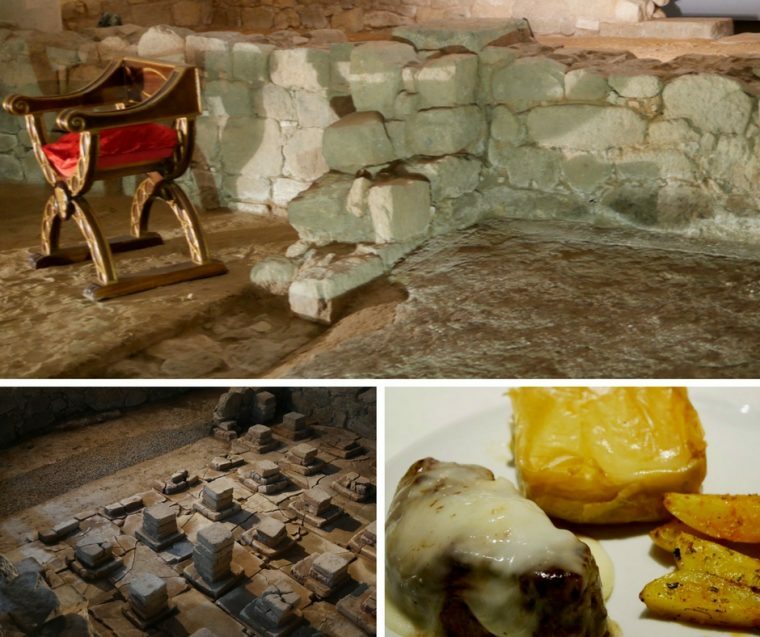 We headed for Restaurant Brac where we enjoyed a range of dishes including a steak with mountain cheese pie and a mountain cheese topping, before exploring the ancient Roman remains in the back of the restaurant. The food was hearty and filling – the Roman remains seemed slightly surreal. Apparently, the owners found them while renovating the restaurant and decided to make a showcase – so you eat peering through the glass window, trying to work out what lies behind, before going on a mini tour of the space. 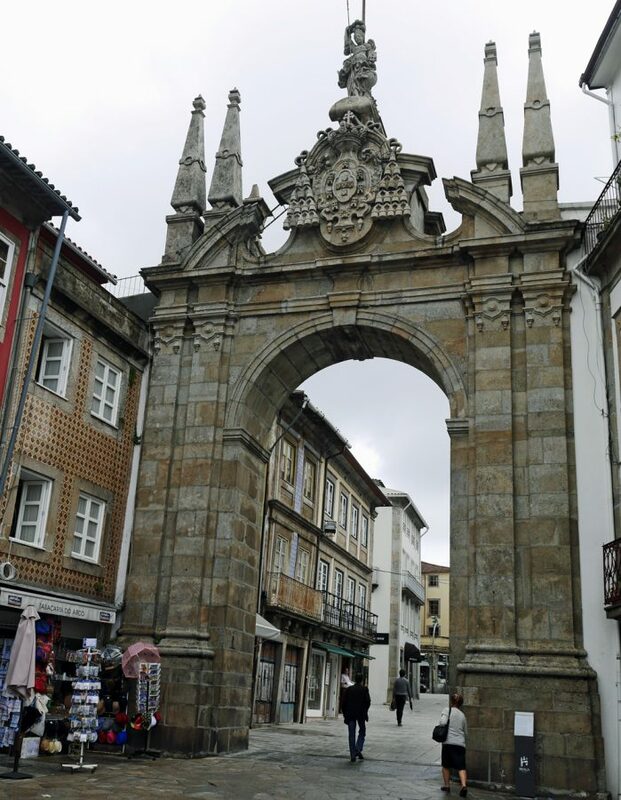 Next morning, a walking tour of Braga took us through the Arco da Porta Nova into the City, which is often dubbed ‘The Rome of Portugal’. That title has a number of different justification – as we’d already realised Braga was an important Roman city. But, later, the Kingdom of Galicia, founded in 409 occupied the whole of the north-west of the Iberian Peninsula. At that time Braga was the capital. 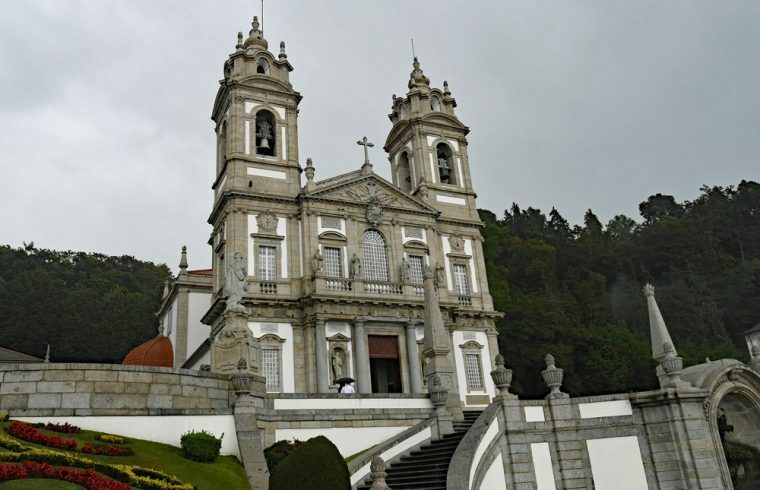 The region quickly adopted Catholicism and the Bishop of Braga was given the title ‘Primate of Hispania’. To this day, he still holds that title, though Braga is part of Portugal. The city, though, does have a huge number of churches, episcopal palaces and a fine Cathedral which dates back to the 11th century. “Mais velho que a Sé de Braga” is still a popular saying in Portugal, as a way of saying just how ancient something is. Of course walking around a city for a few hours does little more than give you a feel for the place. 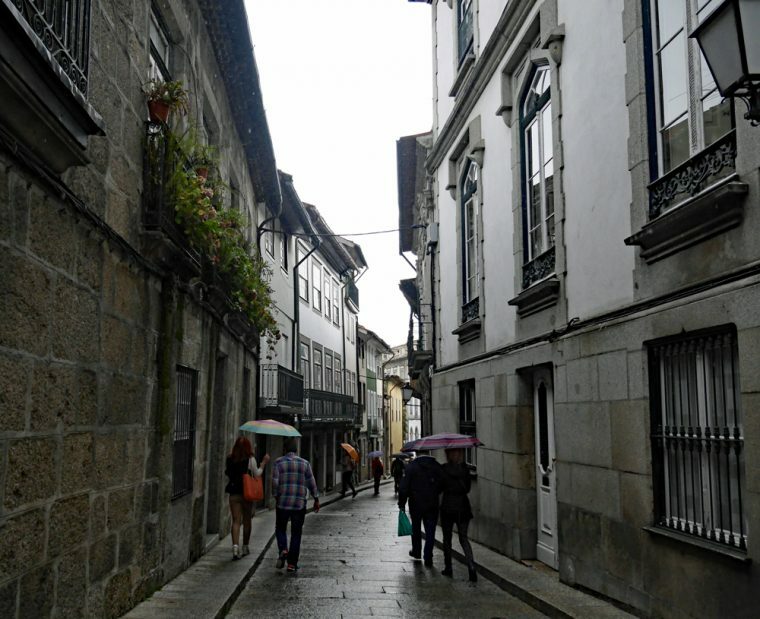 Here, in Braga, it felt as if little had changed for fifty years or so. Although the streets were busy, it was a gentle, purposeful bustle rather than the hyped up financial centres of London or New York and without an overwhelming number of tourists. Worth visiting for the architecture and ambience, I’d have been happy to use Braga as a base to explore more of Northern Portugal. We stopped to enjoy a coffee in a Brazileira, one of the finest coffee shops I’ve seen. 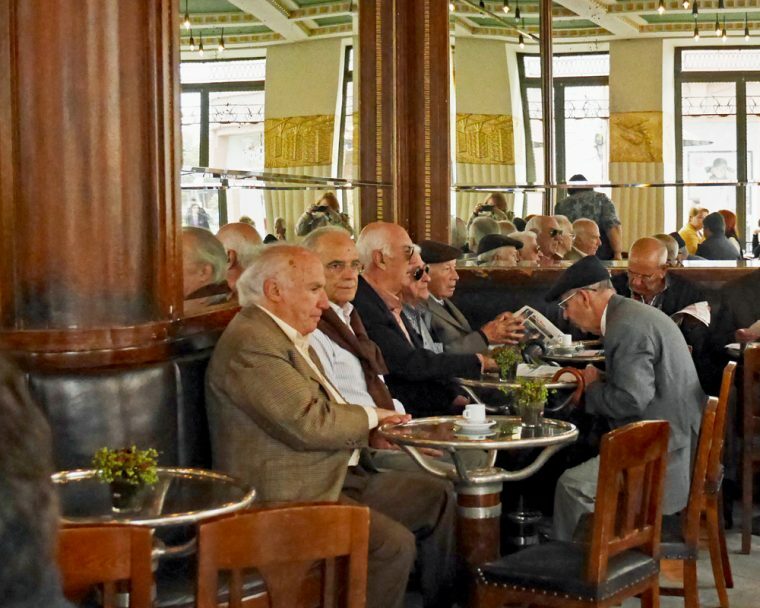 Time seemed to have stopped, one corner of the shop full of older Portuguese men drinking coffee, reading the paper and discussing the way of the world. 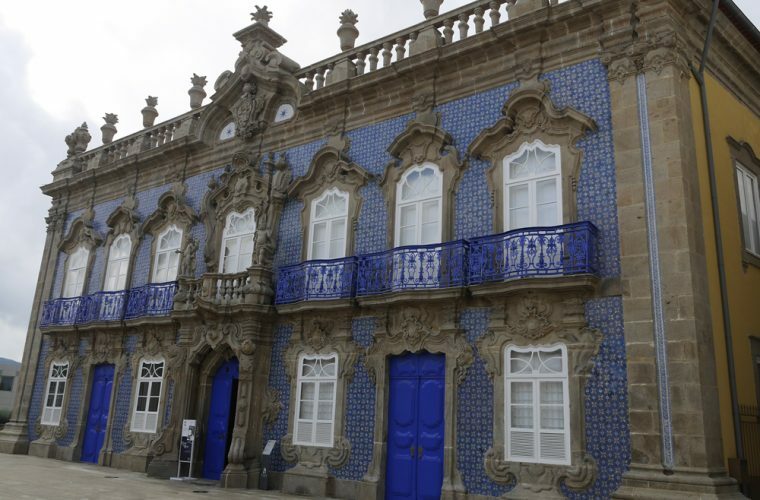 We peered into Raio Palace, admiring the beautiful azulejo of this fine example of baroque architecture. The early morning rain cleared to blue skies just in time for us to take photos of the fountain in the main square of the city. 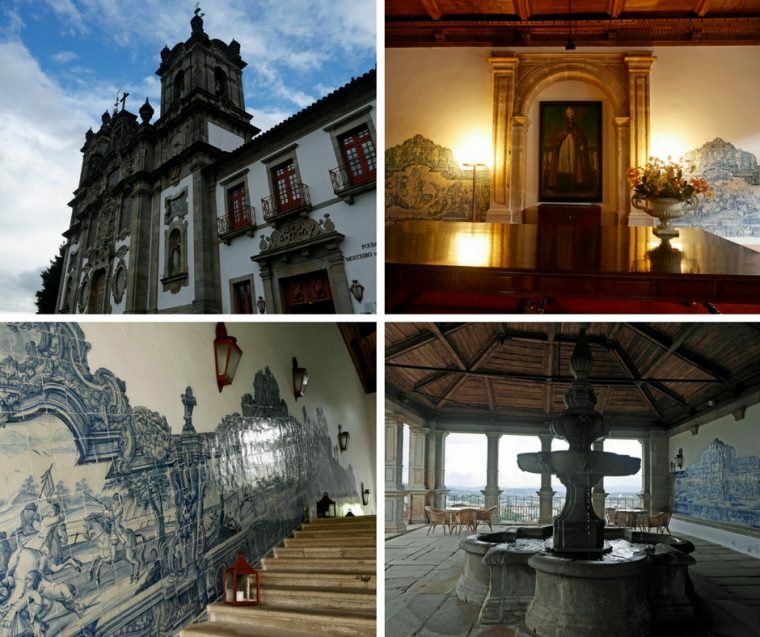 We went on to check out Bom Jesu do Monte, a baroque sanctuary and church on a hilltop overlooking the City. By then it was raining again, despite which the place was still stunning. If you have time, try the water balanced funicular as a way to reach Bom Jesu do Monte, it’s the oldest water balanced funicular in the World and was constructed in 1880. 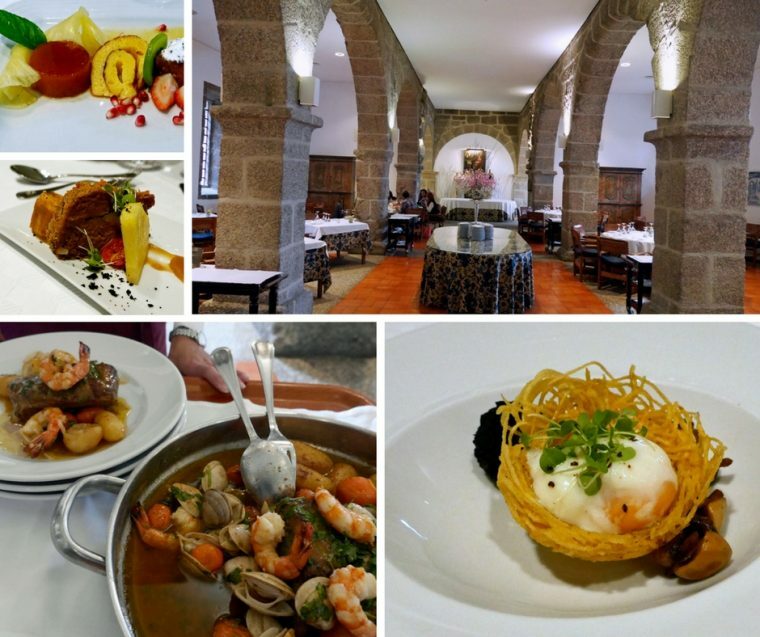 Time for lunch we headed to Pousada Mosteiro de Guimarães, one of the Small Luxury Hotels Group. 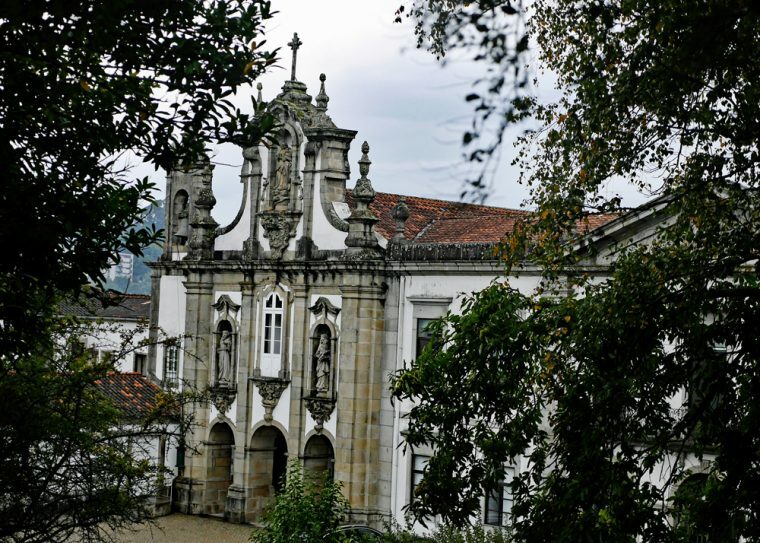 Like many of the Pousadas, this was once a Monastery. 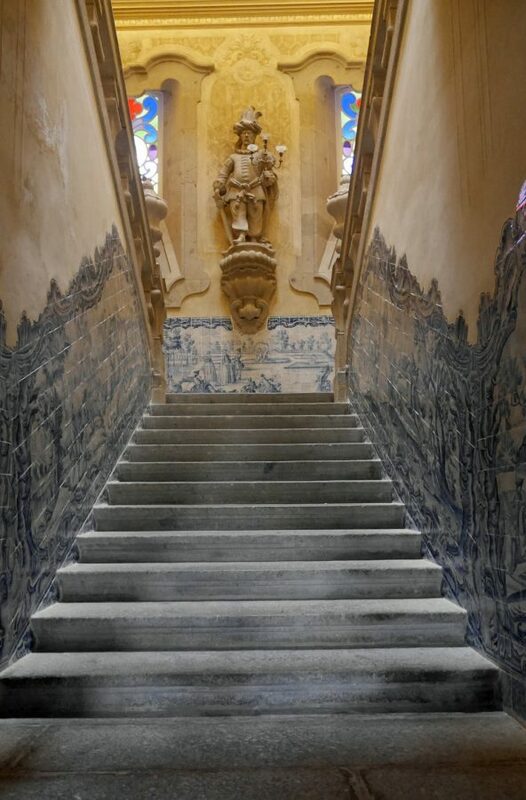 The Pousada was the sort of place I love to stay, full of history and tradition but with all the comforts of a contemporary hotel. Not suprisingly it was fully booked when we visited. A short distance away is Guimarães itself. 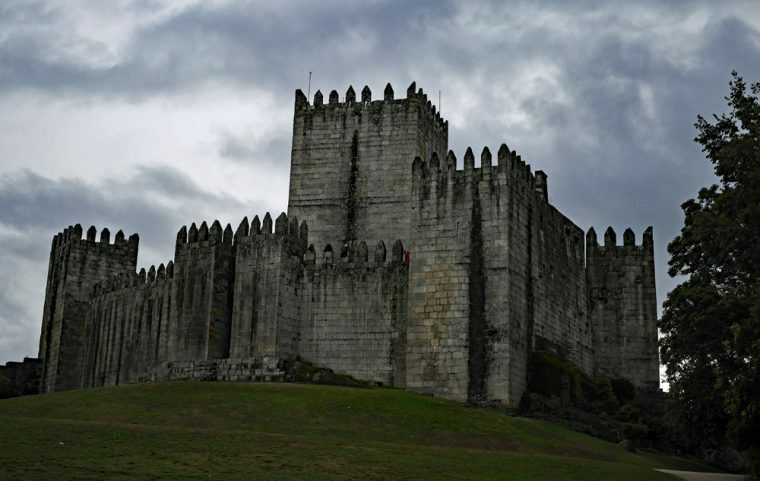 We left the hotel with promising patches of blue in the sky, but by the time we reached the castle of Guimarães things looked decidedly unsettled. Of course photos of castles can look just as stunning with grey skies. Sadly, a gentle walk through an historic town is somehow less appealing when clutching an umbrella trying to take photos without getting rain on the lens of the camera. A shame that our packed schedule really didn’t allow for any leeway to wait and see if the rain might go. Despite that the Unesco listed town was still worth a visit, for the quirky shops, winding streets, pretty town squares and for the fairytale castle and palace which sit side by side. 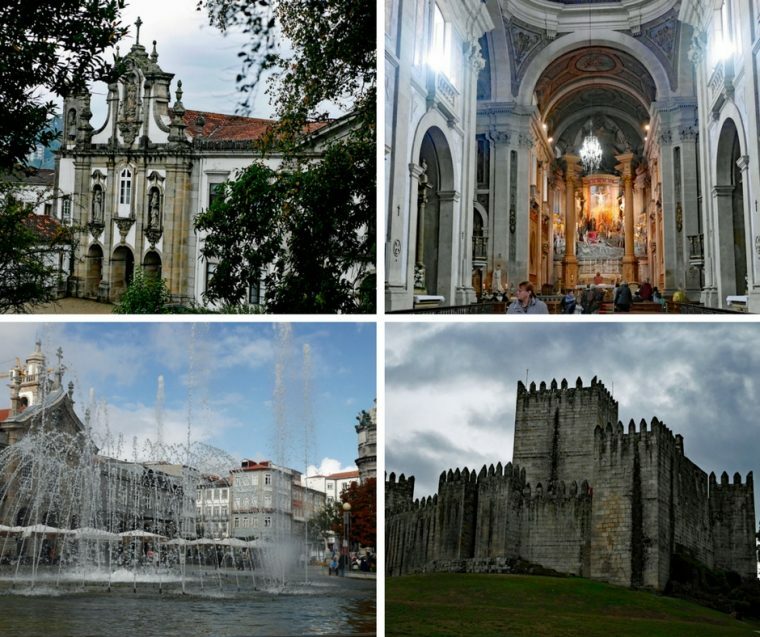 Guimarães is known as the ‘birthplace of Portugal’ – the first King of Portugal, Afonso Henriques, came from the town and the Battle of São Mamede (1128) was fought close by. After Afonso and his allies won the battle Guimarães became the capital of the County of Portugal and the words “Aqui nasceu Portugal” (Portugal was born here) are engraved in one of the old towers of the city’s old wall. I’d like to go back, when the sun is shining and I can sit and drink coffee outside in the square. This part of Portugal deserves to be explored more. And, I’d happily enjoy more of the vinho verde too, it has a relatively low alcohol content and is the kind of crisp, slightly petillant drink that is perfect for a sunny afternoon. TAP Portugal flies direct from London Gatwick to Porto twice daily, prices start at £89 return including all taxes and surcharges. For further information, visit www.flytap.com or call 0345 601 0932. 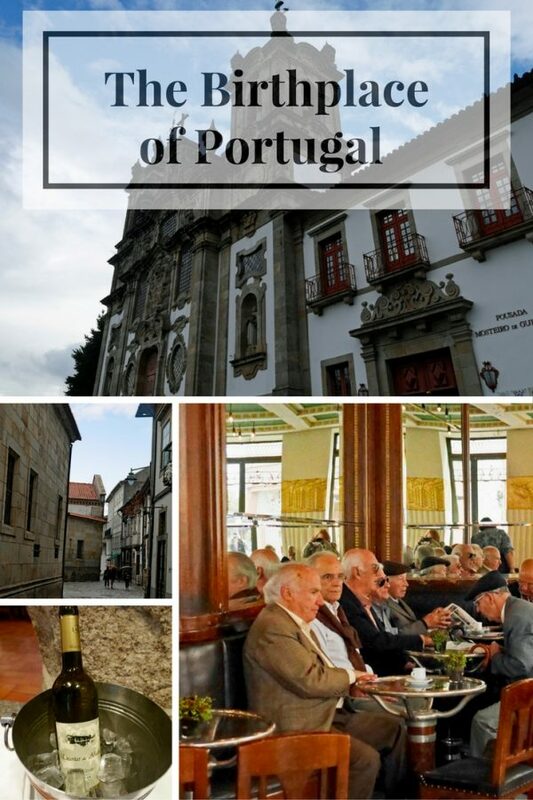 Visiting Portugal is high on my travel wishlist, I did do a trip to Funchal Madeira over 10 years ago, but I’d love to at least visit Lisbon & now Porto too! I’ve yet to meet anyone who doesn’t sing its praises, and your writings have only reignited my desire to do it sooner rather than later!! I loved our visit so much! It was a real revelation to visit this area, having never thought about it for a city break before and to discover so much history and beautiful architecture, not to mention the excellent food! I did a tour around Portugal when I was a teenager, but that was so many decades ago that the memories are quite vague. Now I’m so fired up to see more of Portugal! As you show, both of these places are intensely photogenic. I lived in Portugal for a couple of years and had the pleasure of exploring the country. 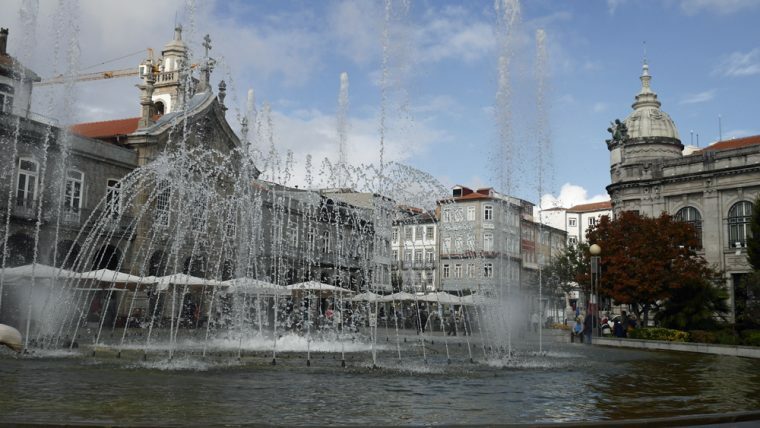 Guimarães and Braga are well worth a look. Pretty pictures of Portugal place. Fabulous pics of a really fun trip. Thanks!